It’s fair to say that at most companies, employees are one of the greatest assets. They are typically the ones out in the field or in front of the customer doing the hands-on work that makes it possible for your company to run business as usual. So, doesn’t it make sense to ensure that your employees are healthy, happy, and productive? 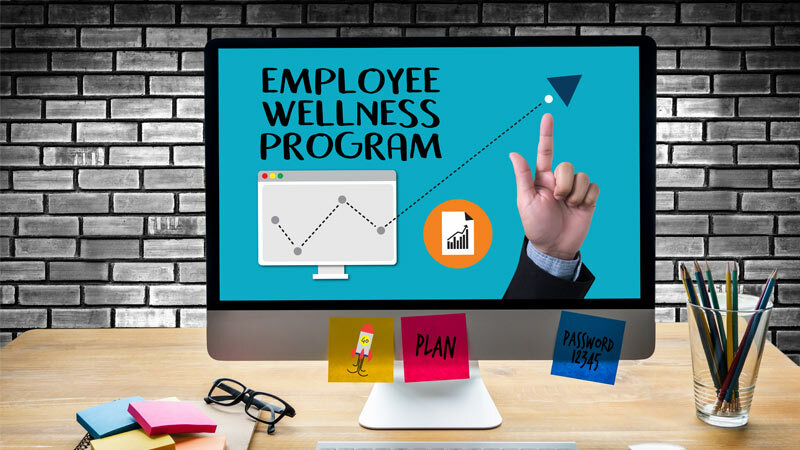 One step to meeting this goal that many businesses have implemented for their workforce is an employee wellness program. These type of programs can help trim overall health care costs, boost productivity, and lower the absenteeism rate. There are a ton of ideas out there to help get your employee wellness program off the ground, but it’s important to figure out what will engage your employees and keep them actively involved. Check out some of the ideas below to help transform your workplace and create a healthy work environment for all employees. 1. Provide healthy food options in your work cafeteria. It’s not unheard of for companies to have a restaurant or café located within their building or to bring in outside food vendor options for their employees' convenience. While this is a great feature for many employees, it’s not as beneficial if all you have available are unhealthy food options. As part of your employee wellness program, it’s important to have healthy foods for your employees to choose. So, how are you going to persuade your employees to choose a healthy spinach salad over a big juicy cheeseburger? Offer a discount! A discount isn’t a guarantee that someone is going to make a health-conscious choice all the time, but at least you are doing your part to offer an enticing benefit for eating healthy. 2. Organize a healthy potluck and recipe exchange. Chances are that you have participated in a work potluck at least once in your career. By organizing a healthy potluck, employees are able to try out some tasty foods and have the opportunity to try them out so that they'll be more encouraged to make them on their own time. This is a fun and engaging way to bring your employees together while keeping your wellness program top of mind. 3. Offer corporate discounts for gym memberships and studio classes. Whether it’s a discount for a membership or a reimbursement, this benefit alone can make a huge impact on your workforce. Some of the major results of this benefit that companies have seen include a reduced number of sick days, increased productivity, and a more positive work environment. It’s a win-win for everyone involved! 4. Coordinate and promote a corporate running club. For many people, it’s easier to start getting active when they have others supporting them. By creating a place for employees to meet up and walk or run, you are allowing them to improve their health while interacting and being social with others that have a similar interest. 5. Bring the farmers market to your employees. Establishing an on-site farmers market is a great way to increase access to healthy fresh foods. With a variety of fruits and veggies to choose from, farmers markets are centered on bringing the community together and can do the same with your employees. Set a schedule for different vendors to come set up shop during lunchtime so that your employees can do some healthy shopping. The fresh and healthy options available can serve as a source of simple and effective health and nutrition messaging that ties in perfectly with your employee wellness program. It’s imperative to encourage and educate every employee on the importance of staying and being healthy. Cancer, diabetes, heart disease, and stroke are killing our country and many of those deaths could have been prevented through healthy-living education. A thought-out employee wellness program can help keep health care coast low by addressing problems before they even start.